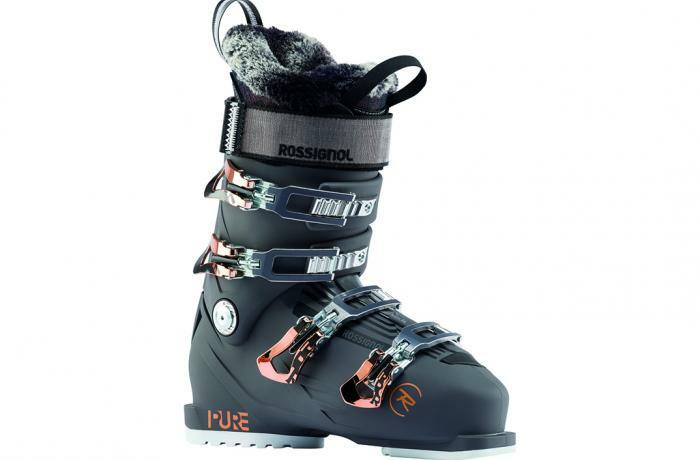 The 2018/2019 Rossignol Pure Pro 100 was tested in the women's All-Mountain medium width Category at Silver Mountain Resort by the experts at America's Best Bootfitters, powered by Masterfit. Here's one you can take anywhere and be balanced, comfortable and ready to rip, said testers of the 2019 Rossignol Pure Pro 100. Its classy looks go with every outfit, the liner is warm and cozy, it's easy to get on and off—and it skis as well as anything in the category. What's not to love? Testers say this runs a bit on the roomy side of the medium-fit group, with plenty of room at the forefoot and in the toebox, especially in length—they say if there's a boot you might go down a size in (if you're on the cusp) this one's worth trying. 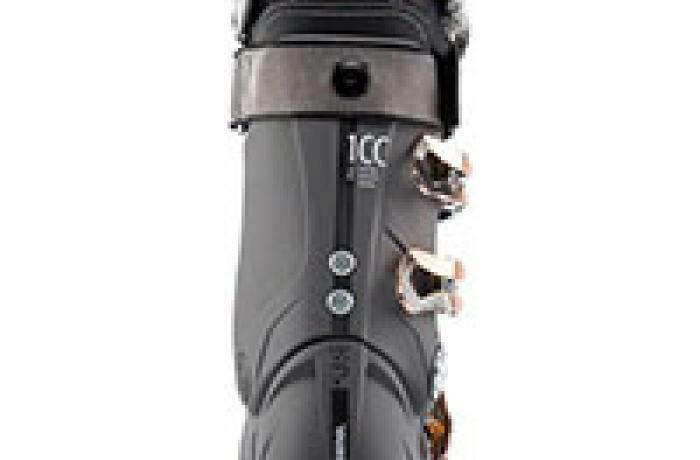 The ankle and heel are snug enough, but slender feet would probably do better in the Pure Elite (the narrow version). The liner's calf is furry and open enough for thicker legs, they report. 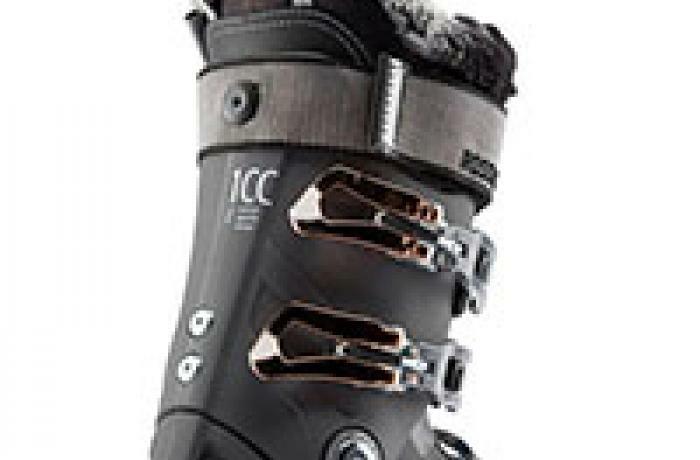 Testers put the stance a touch on the upright side, which they liked for a long leg and no quad burn, but a few mentioned they wanted a heel lift to help get out over the front of the boot. They thought the 100 flex was on target, perhaps even a little stronger, with a nice progressive feel on the leg during flexion. Side-to-side moves were rewarded with solid, stable edge power. Testers were split on whether this was a quick boot or perhaps happier in medium- and long-radius turns, so we'll say it's "quick enough." The fuzzy liner (which testers liked for not being too fuzzy) is made with Thinsulate and Merino wool, so high warmth scores were not imaginary. A set of GripWalk soles is available as an accessory (nice for walking, compatible with GripWalk compatible bindings only). Testers also thought the price tag was a nice feature--$100 less than many of its direct competitors in the medium-width group.